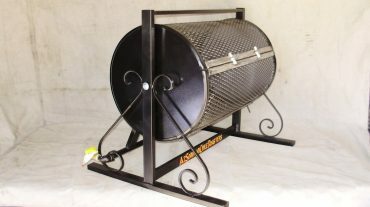 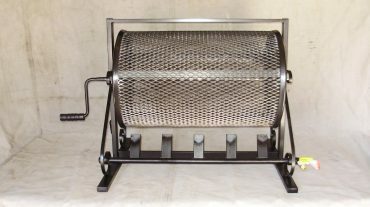 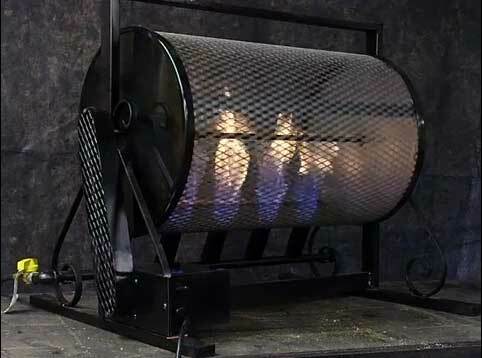 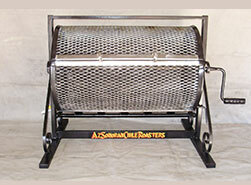 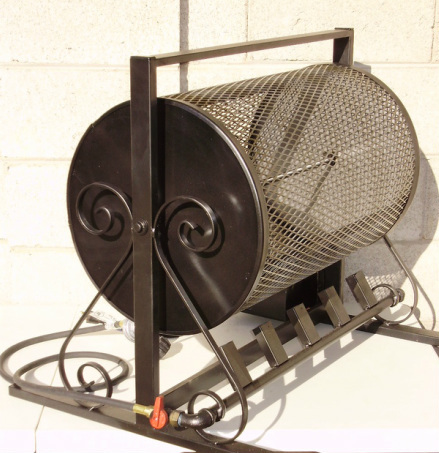 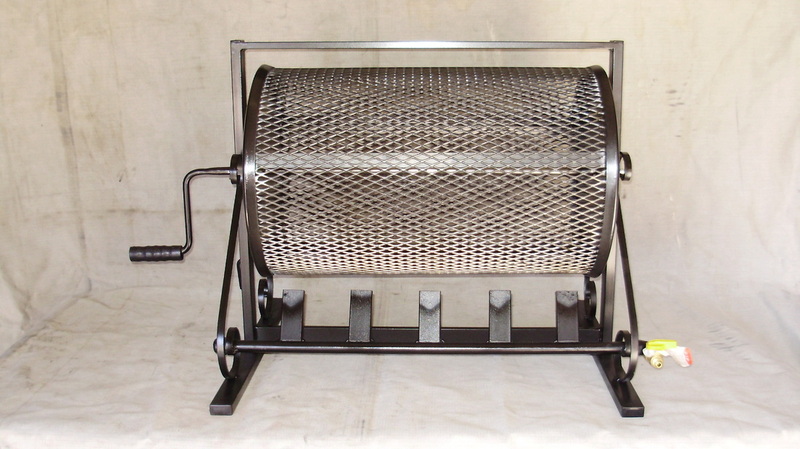 The 16″x24″ is a 5 burner manual hand crank roaster. 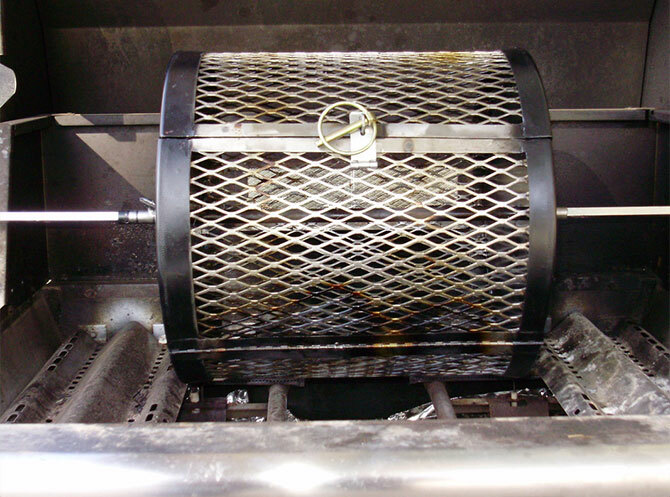 This roaster comes with a regulator, gas valve and 5′ supply hose. 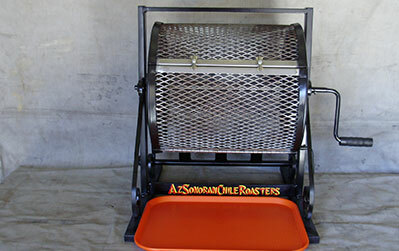 Same quality construction but no motor.